Jerry formed The Parking Advisory Group in February of 2012 after spending 13 years as the Executive Director and Practice Leader for a nationally recognized multidiscipline design firm. Before that he spent more than 20 years in parking management, including Vice President and Director of Business Development for a national parking management firm. In all, Jerry has been in the parking industry nearly 40 years. 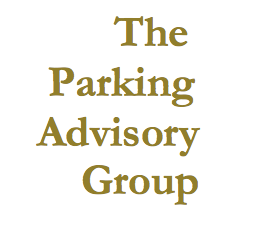 The Parking Advisory Group’s emphasis is on parking consulting for both National and International clients. Focusing on functional design, financial feasibility, due diligence, operations consulting and demand analysis. Mr. Marcus serves on the Board of Directors of the National Parking Association, as well as, the the National Parking Association’s Parking Consultant’s Council (Currently as the PCC's - Chairman). Mr. Marcus has authored numerous articles for parking and industry publications including: Parking, Parking Today, The Parking Professional, Stadia, Pan Stadia, InterTraffic World and Passenger Terminal World. In Addition, Jerry was the author of the Introduction to the Urban Land Institute’s Dimensions of Parking fifth addition as well as, the first chapter on the newly published Sustainability of Parking first addition, jointly by, The National Parking Association and International Parking Institute. Throughout his years in the parking industry he has provided parking consulting for a variety of project types, including commercial, mixed use, public assembly, university, aviation and medical facilities. Some of these projects include award-winning parking facilities for: The Texas Medical Center, Houston; DFW Airport, Dallas; Hartsfield Airport, Atlanta; The Houston Sports Authority, Houston; and the City of Tampa.